The Joint Committee on the National Security Strategy (JCNSS) calls for evidence to inform its next phase of work. It said this should cover energy security and domestic resilience, as well as foreign policy and defence, and criticised as unrealistic the Government’s stated policy expectation of no shrinkage in the UK’s international influence. This input is made by DefenceSynergia and uses the JCNSS questions (in bold) below to focus each response. The UK’s national security priorities: What should be the UK’s national security priorities for the next twenty years, and how should these steer the next NSS? This is an incredibly muddled statement to make, and a very dangerous and confusing stance for a Prime Minister to take. A defined – written – Strategy is an indispensable articulation of principles that drive the government. It is the focal point, the single point of reference, for all ministers, civil servants, and senior figures in our government departments, for determining their departmental plans and associated resourcing and budgeting that ensures ‘joined up government’. Moreover, having set the strategy, the government – the Cabinet – must have something against which to measure their implementation of the strategy using Specific, Measurable, Actionable, Relevant, Timely (SMART) and verifiable metrics and data. The risk of not having a Strategy is that the roads travelled will diverge and go down their own departmental silo priorities and focus, rather than meet at the destination to achieve a coherent and coordinated government effect. If the PM is confident that he has a formulated strategy, why should he feel it unnecessary to see it articulated? If the PM (like the JCNSS) expects to see “every single bit of government working together” all departments must surely have an unambiguous understanding of what the strategy is and that it is the highest level of direction for collective government policy? It is an odd governmental practice to expect departments of state formally to work on the basis of the minutes of past National Security Council (NSC) meetings and their interpretation of the PM’s strategic thoughts. Yet without further explanation from the PM this is certainly one worrying interpretation of his remarks. Equally, perhaps more worrying, is the PM’s drift in logic where he appears to slip all too easily between strategy, policy and plans with little effort to explain how and where he believes they interrelate. Does the PM understand what strategy is, never mind whether he believes he has one? To which can be added; is the NSC the right place to set and implement policy when, by the PM’s own admission later in his evidence, the NSC does not always have the time to discuss the overarching strategy? In any event we are still left with the question – how did the PM formulate his four strategic nodal points and are they really a national strategy? In order to understand why all this is important DS analysed the terms commonly used by the PM and others in this debate – typically, ways, means, ends, goals and policy – and how they should relate to strategy. We concluded that usage and definition required ratification. Many talk of Ends, Ways and Means in relation to government foreign, defence and security policy and all are valid in their own way but when discussing strategy it is as well to understand the terms and their effect within the process. Therefore, DS believes that the terms Destination, Direction and Enablers are more apposite in describing the building blocks to grand strategy. Looked at in this way Destination is the key for establishing the highest level UK Grand Strategic goals to be attained; Direction defines the Policy; Enablers quantify the budget and resources to meet policy and achieve the Destination. The PM’s verbally articulated strategic vision is “…to restore Britain’s economic strength…to tie us to the fast growing parts of the world…refresh and enhance the great alliances that we have…tackle the threats that could threaten our country…to do this right across government not just through the Foreign Office fighting for UK abroad but every single bit of government working together”. Therefore, these destinations (his strategic vision) must be supported by clearly articulated, pan-government coordinated and coherent, direction and adequately funded enablers (the policy actions) to achieve the destination. Not to do so relegates strategic vision from achievable to a mere wish list of worthy aspirations commanding low priority with no certainty they will be achieved. Possibly worse, be achieved and no one know it because there is no point of reference against which to measure success. The PM should not be shy of enshrining his vision (his strategic destination) as the highest level of government policy for all departments of state to chart their course (policy direction) and to which they must devote resources (policy enablers)? Otherwise his publicly stated view that “I do not have to look at a bit of paper to tell us what our strategy is” may set His ground rules but sends the wrong message, or allows him to veer and haul his ‘strategy’ at a whim and without the ability to be held to account. Is it any wonder that the PM’s other central message “every single bit of government working together” seems, particularly where the Treasury is concerned, to be honoured more in the breach than the observance. Therefore, articulate the strategy in the NSS and then set the pan-department security priorities (not just the Ministry of Defence) to achieve it. The UK’s place in the world: Should the UK plan to maintain its global influence? Should we aim for a national consensus on the UK’s future place in the world? The DS view is that UK global influence is a valuable but vulnerable asset. 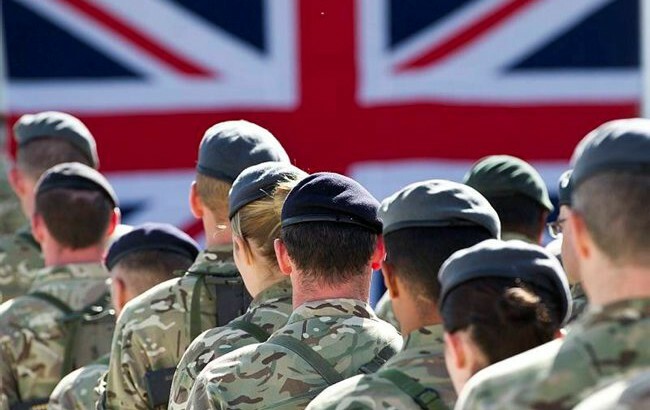 The UK’s place in the world has been driven by history and active involvement in international affairs and UK foreign policy and defence doctrine have developed to match this legacy paradigm. DS believes that this paradigm is extant – as, apparently, does HMG – but that the prevailing financial position of the nation is being allowed to fudge strategic decisions. However, the UK, whilst cognisant of its history, mustn’t allow the past to restrictively constrain the future. The decades since the end of WWII have been characterised by the continuous engagement of successive British governments in international affairs whilst steadily unlinking their foreign policy aspirations from the military enablers (hard power capability) required to match policy. Since 1991 and the collapse of the Warsaw Pact the trend towards taking a ‘peace dividend’ has gathered pace with a preference for diplomatic-soft-power solutions that, in a strategic vacuum, have led to open ended commitments, with no measurable end effect success, because political end game and hard-power enablers are under-funded and policy planning acumen is deficient. Over two decades Her Majesty’s forces have conducted many foreign intervention operations: Iraq x 2 , Bosnia, Kosovo, Sierra Leone, Libya, Mali, and Afghanistan. If these operations have a common denominator it is difficult to accurately define except perhaps to somewhat lazily apply the term ‘counter insurgency’ (COIN) to the way most eventually panned out. Yet each operation differed in the way the UK became involved; why the UK became involved; the warning time frame; the expected and actual outcome; and under who’s auspices UK intervened in the first place. There is often confusion between the initial and eventual reasons for intervention: national interest, United Nations Mandate, North Atlantic Treaty Organisation (NATO), European Union, or ally request? Hence commitment to operations without strategic vision, an international political and diplomatic plan supporting combat intervention, joint international understanding and an agreed ‘measurable end game’ have proved to be a recipe for mission creep, over extension, loss of public support, and unnecessary expense of lives and treasure. Indeed, as the British forces have not engaged alone in a major combat operation since the 1982 Falklands campaign – the last time UK had the ability to deploy its forces as an integrated war-fighting, war-winning single-force capability – it is easy to see how and why current thinking in respect of UK defence doctrine and planning are under review. However, the recent crisis in the Crimea and Eastern Ukraine has suddenly refocused NATO attention back onto its Eastern borders so now is probably not the time for the UK to become fixated upon soft-power COIN operations to the exclusion of all else. If Russian unpredictability warns of anything, it is that peer on peer warfare may not be as remote a possibility as perhaps some analysts formerly believed. And while a major war with a peer competitor is certainly an unwelcome prospect, simply ignoring it is not the answer – prepared, credible, coordinated deterrence and coherent coalition action is. Thus it is incumbent upon all NATO nations to reflect that COIN, in one guise or another, is here to stay – but that a peer on peer engagement is still a threat to prepare for if only to prevent a major war occurring in the first place. Perception of weakness is a variable and NATO fire power vested in high-end technology, large mobile armies, armour, warships and jet aircraft may not impress or deter jihad fighters who may require a more nuanced and subtle approach. Whilst, hard power enablers and robust cooperative military actions, planning, and shows of strength are definitely a factor that potential peer adversaries like Mr Putin consider and are likely to factor into their own strategy. However, as previously stated, international security and stability are not just about hard power. Military activity must be viewed as part of a coordinated and coherent ‘smart security’ strategy and approach linking political, diplomatic, economic and international development activity that identify, pressurize and engage an adversary’s ‘centres of gravity’ and pain points to instil the required end effect and desired behaviours. Future UK foreign and defence policy is not therefore a zero sum game, a case of either or, but a balance to be struck between what we know and what we predict. Hence the lessons learnt in COIN operations must not be ignored and service training, equipment and culture must adapt to allow for an effective, appropriate and measured response in the future. The UK military must have the resources, equipment and training to operate along a sliding scale of intervention from peace keeping to formation combat. At the lower end of the spectrum this may require the formation of a unique Brigade trained and equipped to specialise in conducting COIN operations world wide. However, this new COIN formation must be additional, and be able to contribute to the capacity, capability and numbers of conventional and nuclear deterrent war fighting assets that allow UK forces to be ready to deter and/or counter emerging peer level threats. Vice versa, to sustain a COIN Brigade will require roulement from the wider military units. Therefore, now is certainly not the time for UK to withdraw from international obligations – if we do not adequately fund our own defence is it reasonable to ask others to do it for us? Hence, DS argues that the gaps in our defences are large, widening and unsustainable on land, sea and in the air. As an example of that, it recently took more than 24 hours to get the only available RN vessel – a Type 45 Destroyer – from the south coast to the Moray Firth to intercept a previously undetected and unchallenged Russian cruiser that remained just outside the 3 mile coastal zone. No ally was tasked to do this, and this effects readiness. To examine just one example in respect of readiness (there are many others). It takes over a decade, if not 20 years, to design, build, test and field a new fast jet (F-35), it takes at least 3 years to train the aircrew to combat ready status, a little less for ground crew. Time, therefore, is the crux of readiness. In the modern era the complexity of weapons platforms, the training and available industrial capacity dictate that ‘you fight with what you have on day one’ with little leeway for reinforcement (minimum buy of equipment) or battle casualty replacements (minimal Armed Forces personnel). Unless the warning time for war is in years not months there is simply no time to generate significant new or extra capability and capacity. And, as we never know when the clock starts to tick, whilst belligerents who set the agenda do, balanced-in-place-forces are the only guarantee of deterrence. Autocrats know this! Government hubris is transparent to a prospective enemy, who will make his own assessment of strength, and react accordingly. If UK is perceived weak, no amount of hubris-laden PM briefings will shore up the fallen wall. Si vis pacem, para bellum. Strategic Choices: How can the next NSS be made most useful in guiding decisions in Government and long-term spending decisions? In seeking to address this complex question DS has considered one major aspect of UK strategic international involvement – the United Nations. Strategic choices may be a government’s responsibility but action and subsequent spending is most often dictated by external events forcing action to honour international treaty obligations. For UK nothing is more defining in this respect than our position as a permanent member of the United Nations Security Council (UNSC). Since the formation of the United Nations (UN), international diplomacy has been locked into a legal position dictated through undertakings in the overarching UN Charter with action restrained or enabled by UNSC resolutions and oversight and obligations inherent in historically extant international jurisprudence. The attitudes and actions of nations are judged through this prism of internationally accepted legal, ethical and moral behaviour. But does this international system perform in practice? How do legal, ethical and moral imperatives impact on nations? Notwithstanding the UN Charter, how do the realities of strategic necessity in international diplomacy – the application of soft, flexible (smart) and hard power in pursuit of national interests impact on the need for and legitimacy of International Intervention Operations? Syria – An unresolved case study: Consider the running sore that is the latest manifestation of the ‘Arab Spring’ – Syria. Thus far the toll in the 3 year uprising is estimated to be well over 100,000 killed on all sides and circa three million displaced people taking refuge in camps in neighbouring Jordan, Turkey, Lebanon and Iraq. The European Union has imposed and, in response to French and British lobbying, lifted an arms embargo; the USA has talked of ‘red lines’ if WMD are used by the regime and then reneged from direct intervention; Russia and Iran have continued to support the Assad regime with advisers and weapons; Gulf states support and arm the ‘rebels’; NATO has deployed anti-aircraft missile systems to Turkey (Russia has done the same in Syria) and Israel has attacked Syrian munitions sites. The Assad regime realises that the UN is incapable of speaking with one voice and that this, de facto, renders the UN executive powerless to effectively intervene directly in this internecine struggle. In acknowledging this ineffectual role it would be remiss not to recognise the constraint that a lack of ‘unanimous consent’ imposes on the Secretary General through the arcane workings of the UNSC, not least when the 5 permanent members – Russia, China, USA, France and the UK – fail to agree a course of action. To fill this vacuum in international solidarity, nations tend to fall back upon the only common denominator open to them – their own national interests. In this latter respect, Iran and the Gulf states, and their predominant Alawite, Shiite & Sunni groupings, whilst all Muslim, have diametrically opposed geopolitical and religious interests intertwined in Middle East politics. This generates issues for neighbours such as Israel, Turkey, Lebanon, Iraq and Jordan who all have border stability and internal security concerns as a fallout of Syrian, and now Iraqi internal conflicts. The USA, France and UK – stymied by the legalities preventing ‘Regime Change’ (and no doubt lessons learned of the consequential failures of such intervention over the last 30 years) – are unable to convince China and Russia that the Assad regime must be forced to go if stability is to be restored to the region and the Syrian people offered respite from a brutal regime. All this is set against an international background in which China is vying for greater influence in all regions of the world and Russia is looking to its own interests and influence in the Eastern Mediterranean and what it sees as its own backyard – The Caucuses and Ukraine. When British troops were assigned to UN forces on peacekeeping and humanitarian relief duties in the Bosnia-Herzegovina region of the Former Republic of Yugoslavia (FRY) in 1992 Her Majesty’s Government (HMG) was responding to a series of UNSC resolutions initiated by UNSC 743. This willingness of HMG to offer forces and aid in response to UNSC resolutions was merely an extension of a long history of support by the UK for the UN going back to Korea in 1950. However, as the United States (US) and British intervention in Iraq in 2003 illustrates, a UNSC resolution (UNSC 1441) can provide a wide range of interpretation and lead to legal challenge. However, for the UK independent intervention operations are not as frequent as some might think. Indeed, since the 1982 Falklands War, UK interventions have been as a consequence of legally authorised and mandated UN operations – Iraq 2003 being a notable possible exception. But in Syria what we appear to be left with is diplomatic stalemate with the USA led allies being caught in the international legitimacy and (lack of) credibility and influence in the ME trap. Thus Russia successfully argues that regimen change in Syria is illegal whilst ignoring their own actions in Crimea and Eastern Ukraine despite majority UN General Assembly disapproval of both Assad’s and Putin’s conduct. The UN ‘Responsibility to Protect’ concept seeming to be effectively moribund as a lack of unanimous consent has forced status quo by default, preventing any action or intervention that is not covered by a UNSC resolution. One could argue that this is a good thing if the net effect is to prevent wider conflict escalation or unilateral intervention in another State due to disagreement about its activities, but a bad thing if the result is to hamper conflict resolution and/or prevent the UN from protecting innocent citizens from harm. However, this could be used as a double-edged sword against UK global interests. To this end, and to avoid another UNSC 1441 débâcle, the JCNSS might consider that there is a case for UK to lead on UN reform in this area. From an MoD, National Security and Defence perspective there must be a clear and tangible ‘line of sight’ between the UK’s Grand Strategy defining its role in the world, its external and internal security and defence strategy, through the required supporting Military Tasks and likely military planning scenarios and contingent operation assumptions. These Military Tasks and operational assumptions drive the military Capabilities required, determine the equipment and people needed, thus, the equipment procurement programme and military personnel recruiting, training and Force Elements at Readiness and Force Element sustainability, and ultimately the Defence budget. As UK foreign policy interventions have been traditionally exercised, at times, determined, by international legal treaty – stand fast the right to unilateral action in immediate self defence – a revised NSS narrative must surely start with this as its guiding principal statement. Ultimately the defence, foreign policy and foreign aid budgets will be primarily driven by UK’s international UN obligations. International relationships: Which will be the UK’s critical international relationships over the next 20 years? DS, like many observers of the two premier Western alliances – NATO & EU – cannot help but sense the divergence of interpretation in aims and objectives that the allied nation’s involved bring to the two organisations. So, for example, after four decades of membership the UK has at best an ambiguous relationship with the EU over sovereignty and prefers, for defence and security, to see NATO as its prime focus. Conversely Germany and France see sovereignty as a more negotiable aspect of their relationship and are far more committed to EU institutions than UK. This heavily inclines them towards a European military command and control position despite the certain knowledge that current UK thinking is opposed. Hence, whilst the UK is economically tied into the European project, in security terms the United States of America (USA) is the first among equals when British security interests are at stake. NATO, because of USA leadership, coming a very close second. The Australia, Canada, UK, USA (AUSCANUKUS) alliances being next in line. After that would come the EU and individually or bilaterally France, Poland, Norway, India, Pakistan, Japan, the 5 power agreement (Singapore, USA, Australia, New Zealand and UK) possibly Brazil? Every nation and treaty alliance listed has strengths and weaknesses but UK must do better at “calibrating’ the importance of each treaty/range of agreements which must be made based on a Nationally agreed and desired ‘place in the world’ – Strategy. How should the 2015 NSS handle the uncertainty over the UK’s role in Europe? The DS position is that the political future is uncertain especially with the ground swell of public discontent with aspects of EU membership. An openly debated and articulated strategic narrative will assist the public to decide where UK’s national interests lie. In the interim the UK must publish a “Plan B” for an exit from the EU having made judgements based on in depth discussions with the full range of allies, and some adversaries perhaps, who will be affected. DS asserts that a core task of the NSS should be to audit contingency plans across Government for substance and cohesion. Examinations, exercises, training and resourcing need to be prioritised and assessed against realistic strategic scenarios that have been developed by a combination of government and independent specialists who have equal status on a sub-committee of the NSC. What are the main risks to the UK’s national security? There are published and classified papers identifying risks to National Security. These also outline remedial activities, but lack of public knowledge, restricted access and the mercurial interest of the media generally ensure that most of this good work remains unheralded. However, DS has identified resource supply as a major UK ‘capability interest’. The primary threat – whether oil, food, raw materials, information or cash flow – being from resource starvation potentially causing economic chaos and social unrest. In earlier evidence to the PASC in 2011 DS wrote: “Therefore, DS contends that these ‘Capability Interests’ are enabled by a combination of political, commercial, diplomatic and military means all of which are interlinked domestically and internationally through a stable global diplomatic environment which is enhanced by much admired British core values. In turn these shared values create the conditions essential for manufacturing and world trade to flourish and for UK to prosper”. Hence DS contends that it is no giant leap to deduce that protection of these vital interests must form the core of UK strategic thinking. As history has consistently demonstrated, the UK’s primary ‘Capability Interest’ has been maritime not continental: the principle vulnerability of the British Isles, whether threatened by Napoleon, The Kaiser, Hitler or a modern day equivalent, being resource starvation. Furthermore, whilst direct invasion of the UK mainland may still be viewed as a distant threat it is still an issue for overseas territories (The Falklands Dilemma) and European allies – hence UK support of NATO and the UN is extant. What are the main risks to the UK’s national security? Is the Government’s horizon-scanning effective, and are our national contingency plans adequate? In relation to the part of the question concerning national contingency plans, these are probably inadequate but what there is may be all that is affordable now. The unanswered question is, will any government allocate greater resources to achieve more as the economy improves? In this respect, there must be a priority list published to explain to the public where extra money would be used when it becomes available? An indication of these priorities would be invaluable to taxpayers (voters) even if the Government of the day might not like them published. Defence is a national – non political – activity. Scope: How broadly should the NSS define national security? All issues that threaten the UK should be covered – cyber, resources, existential, domestic. However, with International Companies becoming more influential than some Governments, their viewpoints should be considered and government must learn from them. In many cases the International Company makes decisions that are faster, better considered from the aspect of risk and outcome than Governments. This is because they tend to be more clearly focused structures that are responsible and accountable for their long and short term decisions. In the world of successful commerce innovation is rewarded and the hard lessons of failure acknowledged. Often those that learn the lessons are able to ‘try again’ and succeed. A full range of the elements that can contribute to the formulation of a National (GRAND) Strategy are “out there” but successive governments have seen fit to ignore the reality of the UK’s strengths and, most particularly, weaknesses which do not fit with the zeitgeist of the age. Lulled into complacency following the perceived end of the Cold War and declarations that real emerging threats were of little consequence, our “Establishment” has sought to entice the British people into personal profligacy at the risk of numbing their understanding that the world is an increasingly dangerous and unpredictable place. Austerity measures combined with Chinese and Mr Putin’s ambitions may be reversing this trend so, this may well be the very best time to articulate, very clearly and concisely, the above covered elements into a strategic vision that defines the UK’s stance for and against the changes and emerging threats the world is now facing. To take all measures that maintain Britain’s economic strength through sound financial and monetary measures allied to the maintenance of free international trade. To make full and proportionate contributions to those alliances that contribute to and ensure world peace; most particularly, the UK’s seat on the UN Security Council must be retained and supported by a judicious mix of hard, soft and flexible (smart) power. To maintain and, where necessary, improve the living standards of all UK’s people and make a valid contribution to the well-being of the underprivileged in the wider world. To make a leading contribution to the search for the very best use of the world’s energy and raw material resources.